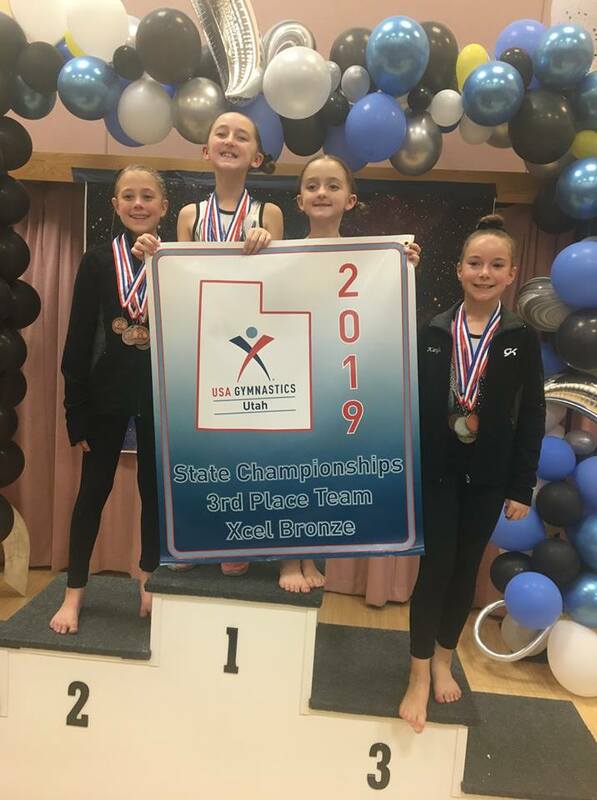 ST. GEORGE — Young gymnasts from St. George’s Coral Peak Gymnastics brought home numerous trophies and awards last week from the annual Utah Xcel State Meet. 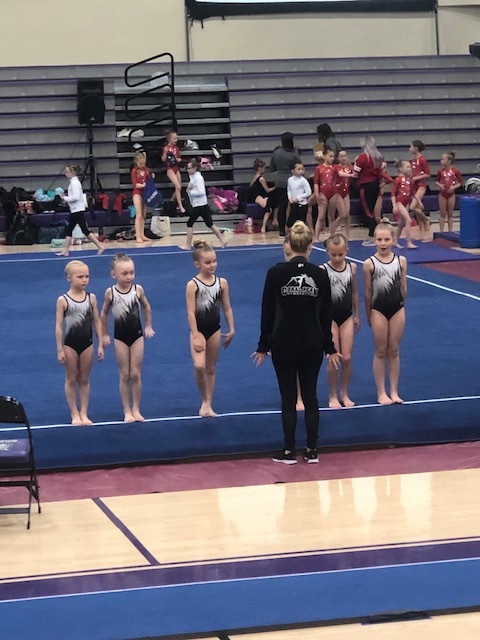 The three-day event, held March 7-9 at Weber State University in Ogden, attracted 20 teams from around the state, with dozens of girls ages 5-15 competing in different categories based on their age and skill level. Coral Peak’s teams took first place in both the gold and platinum divisions and third place in the bronze division. 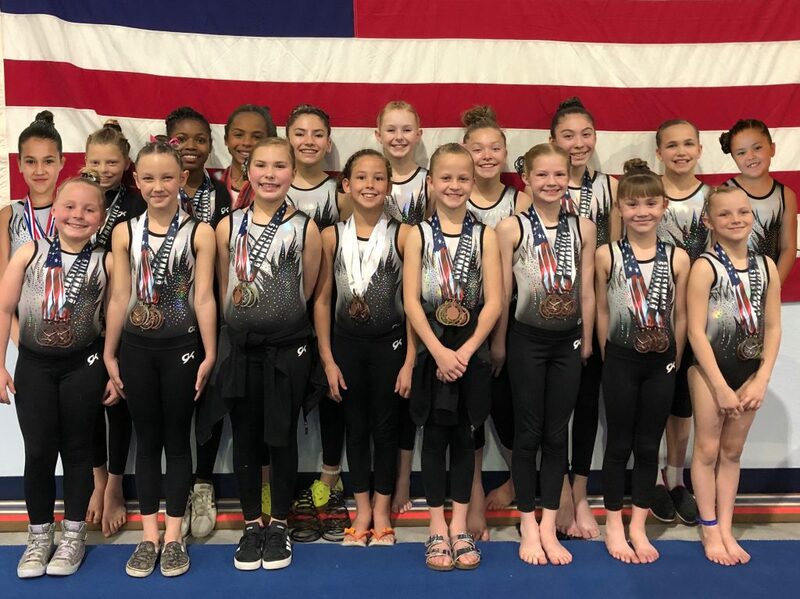 Additionally its very young silver team placed seventh with a score of 114.4, its best showing ever, team officials said. “I am humbled by the strength, bravery, endurance, patience and positive attitude shown,” Julian added, noting that her teams had almost too many top-three finishers to count. 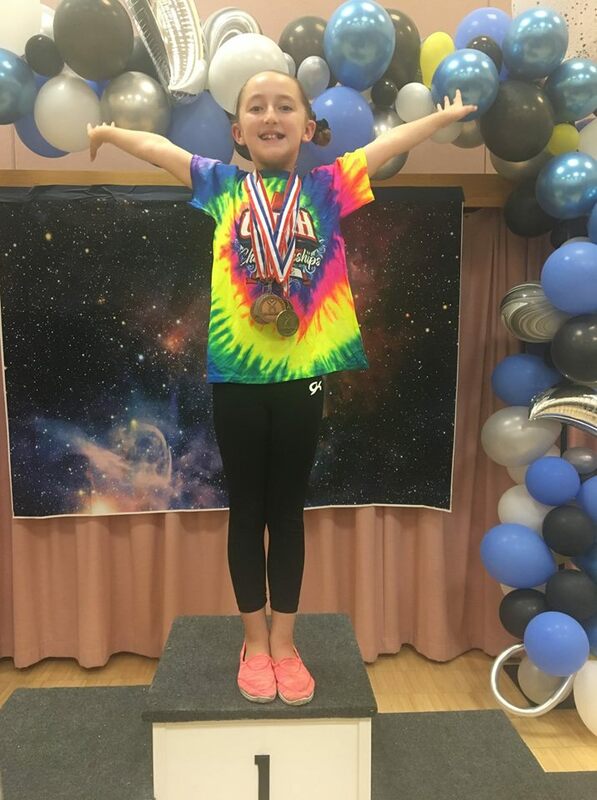 Among the many notable moments at the meet was when young Kinley Swindlehurst, competing in the age 6-7 category in the silver division, scored a 9.90 to win the the floor exercise, which Julian said is the highest score achieved by any gymnast she has coached. 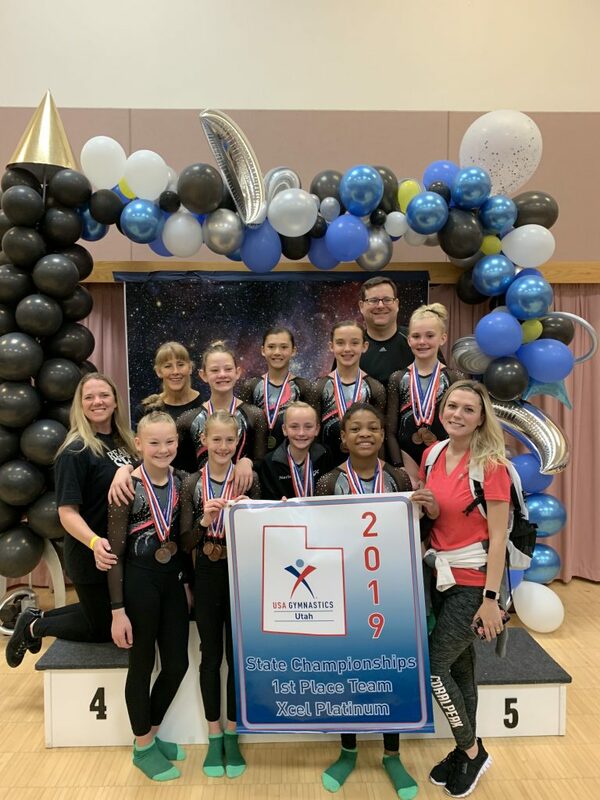 In addition, Savannah Larsen-Kuerth, competing in the 12-year-old category of the platinum division, took first place in both the vault and in all-around, qualifying to represent Utah’s state team at the upcoming regional competition. 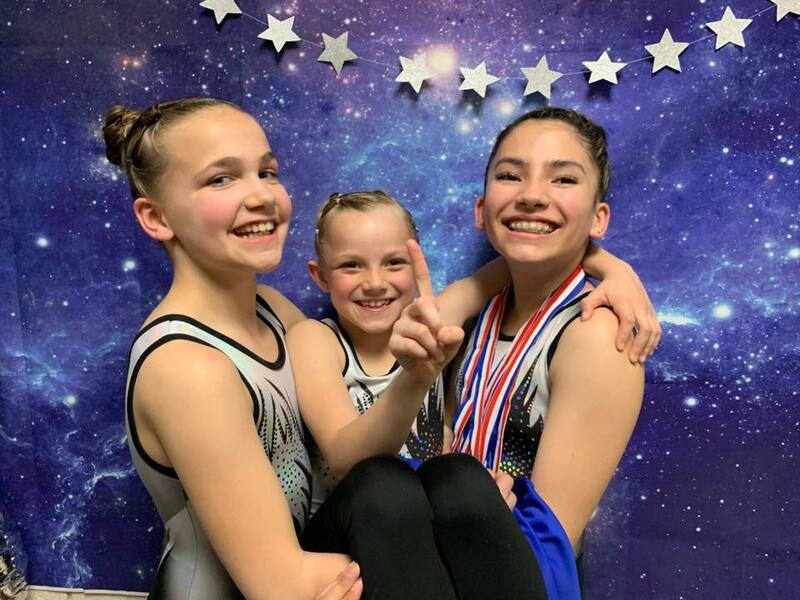 Based on their teams’ strong finishes at state, all of Coral Peak’s other gymnasts have qualified to compete at regionals, which are scheduled to be held at the San Diego Convention Center the first weekend of May. 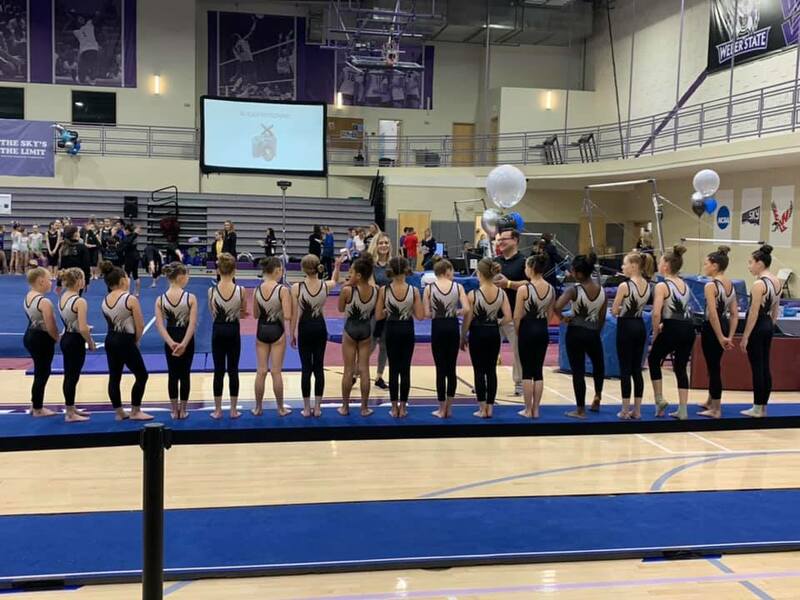 Besides Coral Peak, two other gyms from St. George area, namely Champion Gymnastics and Bare Foot Gymnastics Club, were among those that competed in the state meet in Ogden. Following is a summary list of Coral Peak’s top placers, grouped by division. 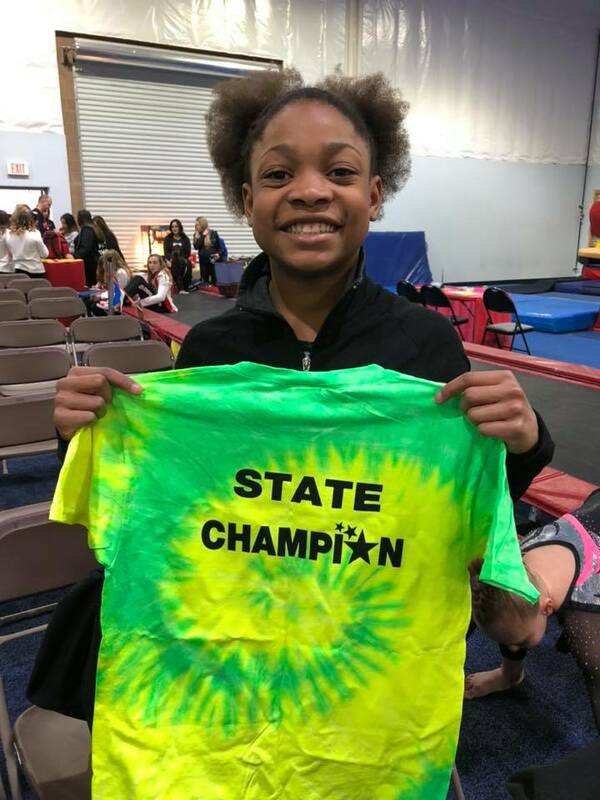 For complete meet results, click here. Kayla Peterson, 1st bars, 2nd all-around. 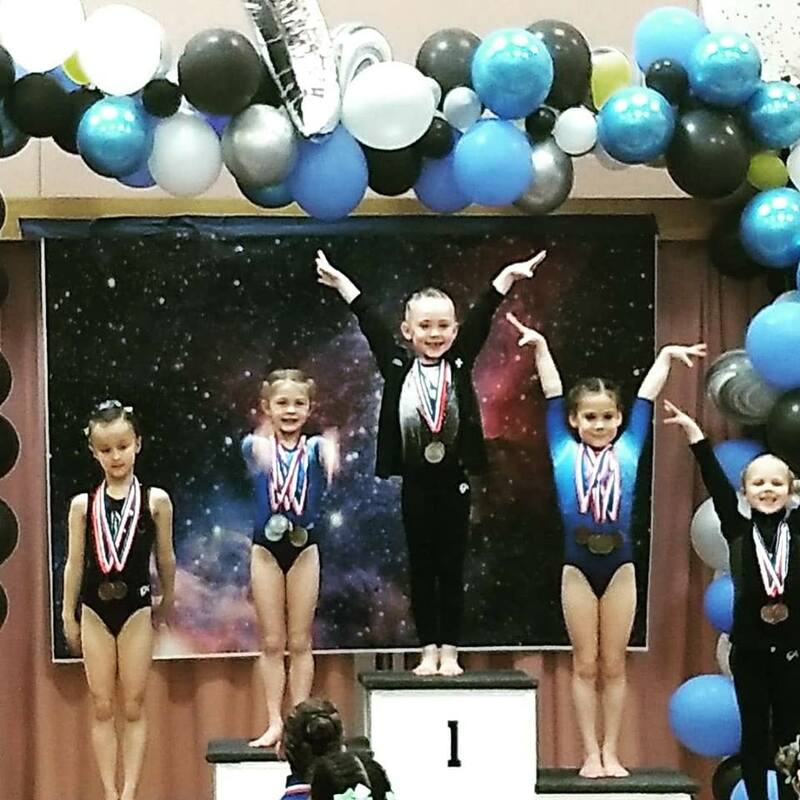 Kambria Jensen, 1st beam, 2nd all-around. 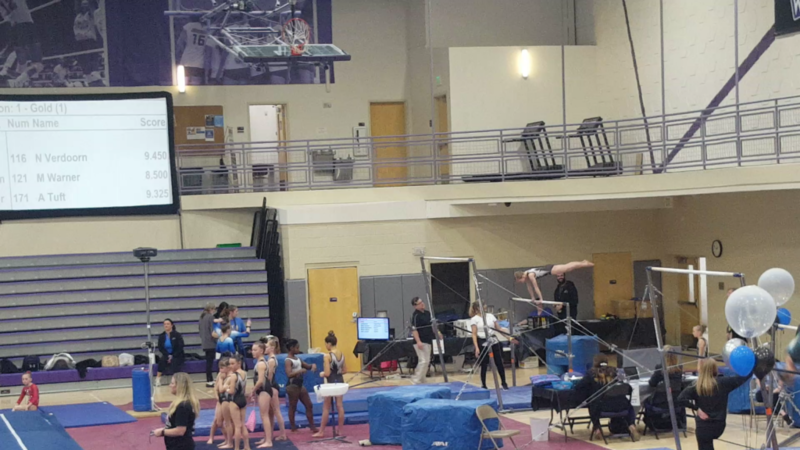 Hayley Jackson, 1st beam, 2nd all-around. Whitney Adamson 1st beam, 1st floor. Destiny Aguayo, 1st beam, 1st all-around. 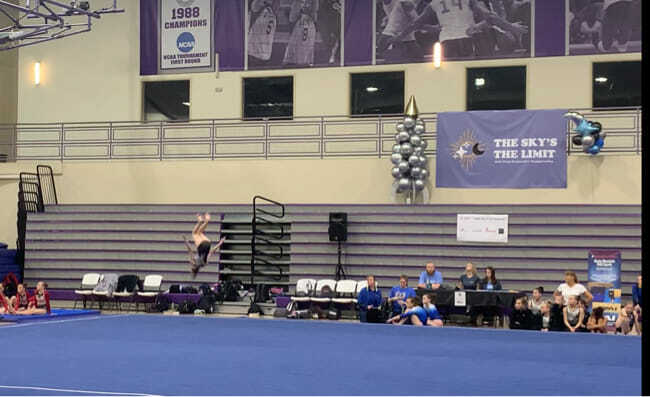 Karissa Swinson, 1st vault, 1st floor. Alexis Macfarlane, 1st beam, 2nd all-around. 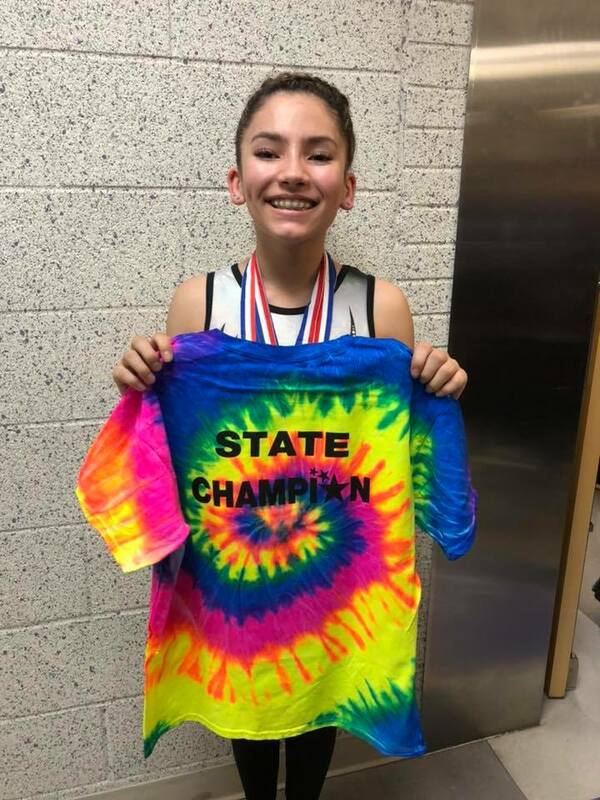 Neveah Estrada, 1st vault, 2nd all-around. 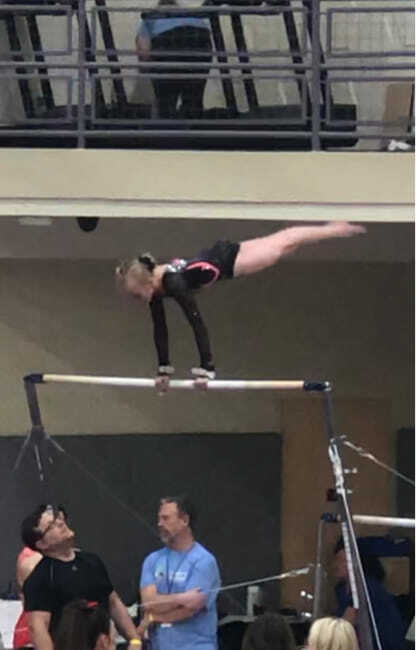 Savannah Larsen-Kuerth, 1st vault, 1st all-around.